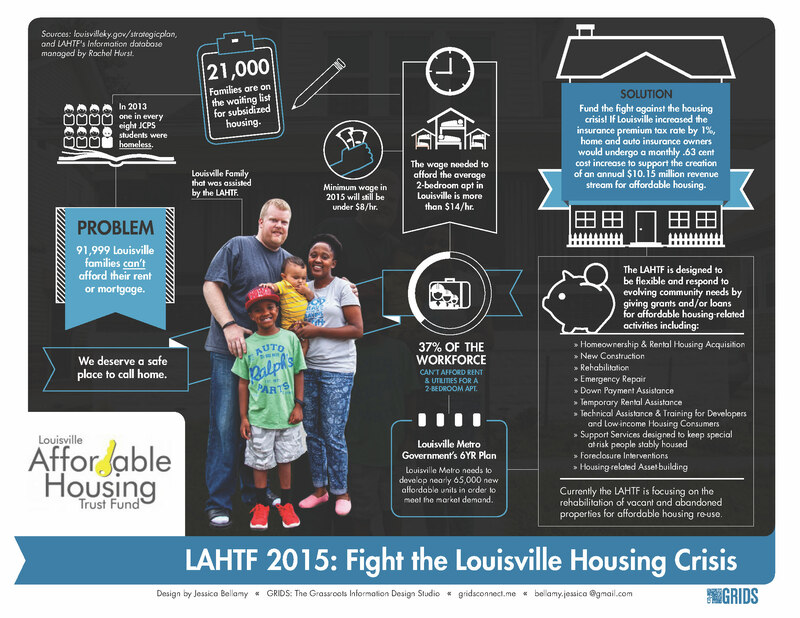 Once again, our community is working hard to solidify permanent funding for the Louisville Affordable Housing Trust Fund. We need your help because this will only happen if the Metro Council sees the community’s support. 2) Commit to be at a Metro Council meeting to show your support! We will keep you posted about the next meetings that are important to attend. Meetings take place at 6 p.m. on the third floor of Metro Hall (601 W. Jefferson Street, Louisville, KY 40202). On a Metro Council meeting day, please meet us in the lobby at 5:30 and we’ll walk up together. Three speakers will represent our thoughts at the beginning of the meeting and you’ll be asked to hold signs, but you can leave after that portion of the council meetings. 3) If you are a housing advocate, builder, or someone in need of housing, and you are interested in joining the LAHTF Speakers’ Bureau, please contact Shelton McElroy at shelton.mcelroy@kctcs.edu. Now is the time to get permanent funding! Thank you for your involvement and assistance.